must be accepted as a guide and not a guarantee. you will receive and NOT lowercase too (and vice versa). you will get twice as many letters as shown above. to be eligible/easy-to-read - such as those carefully chosen by us on the left. 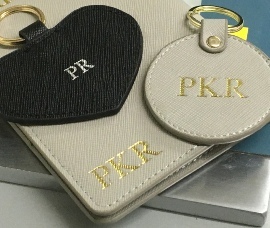 Letters are secured into our hot foil stamping machines by using ‘Slip Cases’ (see below under ‘Accessories’. 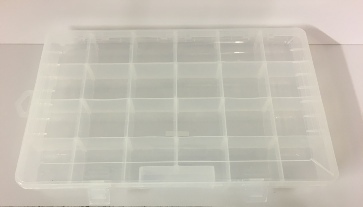 Slip Cases are available in many point sizes - just select the correct point size Slip case for your preferred type style. 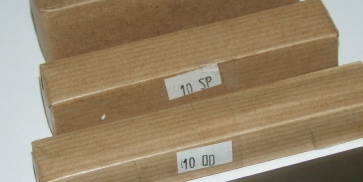 One slip case is required for each line of text. 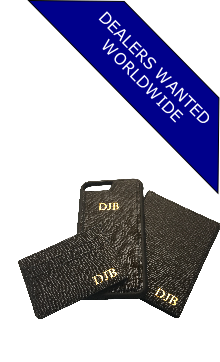 Different sizes of slip cases can be used with our hot foil printing machines. When using slip cases, you will also need to buy optional ‘Quads & Spacers’. These are basically fillers used to block out excess space within a slip case. 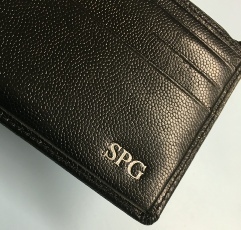 For example, the internal width of our slip cases is 4” and if you initials just cover 1/2”, then you need to block the remaining 3.5” with quads & spacers. 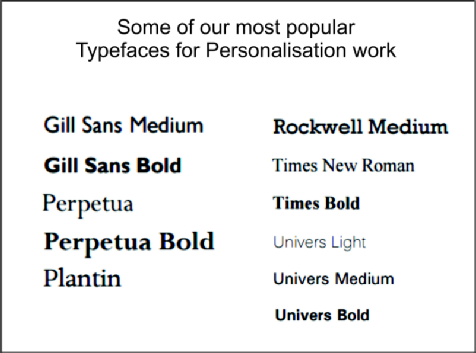 What typefaces can I choose from? How do I secure letters into the machine? We offer a low cost solution to storing your type. 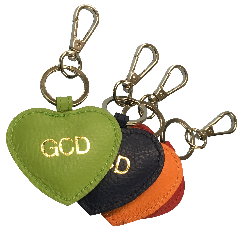 Two of these will be required to store your type and other symbols and perhaps a slip case and quads and spacers. 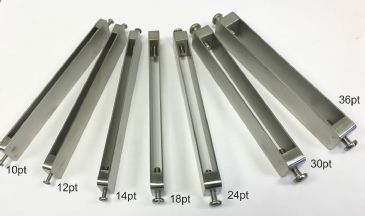 Our high quality stainless steel slip cases are available in many sizes - from 10pt - 36pt. Slip Cases are used to hold type (Metal or Brass) in a straight horizontal line. Our Quads & Spacers are used to fill in excess spacing in a slip case. Quads are the larger pieces and the Spacers are the thinner ones. 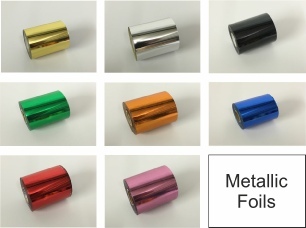 General Purpose Foils are available in all these metallic colours. 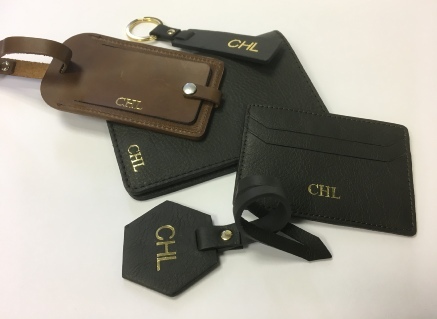 We also supply leather grade foil in metallic gold and metallic silver - please be sure to order the correct one for your needs or contact us for advise. Lock-A-Block system - for easy attachment and removal of 1/4” (3g) Magnesium or Brass Dies. 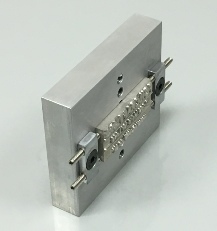 One side has a series of holes for locating different sized dies and the other side is plain and can also be used with die bonding tape, if required. For use with Foilcraft 4X3 only. 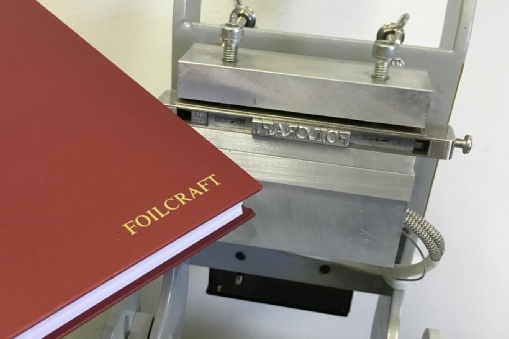 Floating Bed is a option device that fits onto the Foilcraft 4x3 and allows you to easily locate items such as bags, ready for printing. Note: 10pt complete fount is sold as 5A/13a, 18pt as 3A/6a, 24pt as 3A/6a, 30pt, 36pt and 48pt as 3A/4a. Capital ‘A’ after a number refers to Capital Letters, and a lowercase ‘a’ after a number refers to lowercase letters. You can purchase a complete set or just Capitals or Lowercase - please see tables below which will show you how many of each letters you will receive, as a guide.